Here we report the use of a molecule-to-cluster strategy for preparing ultrasmall (~8 Å) trimetallic Co-Fe-W clusters with high efficiency for the OER in alkaline media. Besides the excellent performance as OER catalyst, our molecule-to-cluster strategy allows to achieve well-defined transition-metal clusters in the subnanometer regime. "Ultrasmall Abundant Metal-Based Clusters as Oxygen-Evolving Catalysts"
The oxygen evolution reaction is a crucial step in water electrolysis to develop clean and renewable energy. Although noble metal-based catalysts have demonstrated high activity for the oxygen evolution reaction, their application is limited by their high cost and low availability. Here we report the use of a molecule-to-cluster strategy for preparing ultrasmall trimetallic clusters by using the polyoxometalate molecule as a precursor. Ultrafine (0.8 nm) transition-metal clusters with controllable chemical composition are obtained. The transition-metal clusters enable highly efficient oxygen evolution through water electrolysis in alkaline media, manifested by an overpotential of 192 mV at 10 mA cm–2, a low Tafel slope of 36 mV dec–1, and long-term stability for 30 h of electrolysis. We note, however, that besides the excellent performance as an oxygen evolution catalyst, our molecule-to-cluster strategy provides a means to achieve well-defined transition-metal clusters in the subnanometer regime, which potentially can have an impact on several other applications. The metastable 1T’ polymorph of MoS2 is an excellent catalyst towards the hydrogen evolution reaction. However, its production is limited by its lower energetic stability compared to the semiconductor 2H MoS2 phase. Stabilization of the 1T’ polymorph can be achieved through intercalation of sulfur-based compounds without adversely affecting its catalytic properties. 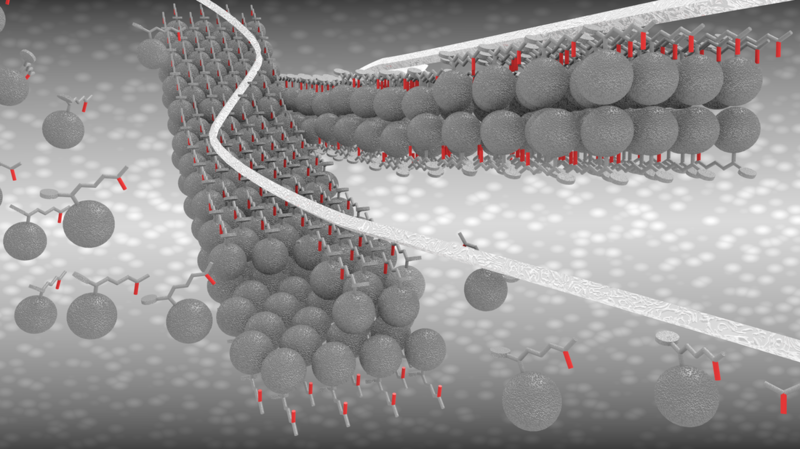 In this occasion, the production of stable intercalated 1T′ MoS2 nanosheets attached on graphitic nanoribbons was published in the journal of Advanced Functional Materials. Joakim Ekspong, Robin Sandström, Lakshmy Pulickal Rajukumar, Mauricio Terrones, Thomas Wågberg, and Eduardo Gracia‐Espino. The metastable 1T′ polymorph of molybdenum disulfide (MoS2) has shown excellent catalytic activity toward the hydrogen evolution reaction (HER) in water‐splitting applications. Its basal plane exhibits high catalytic activity comparable to the edges in 2H MoS2 and noble metal platinum. However, the production and application of this polymorph are limited by its lower energetic stability compared to the semiconducting 2H MoS2 phase. Here, the production of stable intercalated 1T′ MoS2 nanosheets attached on graphitic nanoribbons is reported. The intercalated 1T′ MoS2 exhibits a stoichiometric S:Mo ratio of 2.3 (±0.1):1 with an expanded interlayer distance of 10 Å caused by a sulfur‐rich intercalation agent and is stable at room temperature for several months even after drying. The composition, structure, and catalytic activity toward HER are investigated both experimentally and theoretically. It is concluded that the 1T′ MoS2 phase is stabilized by the intercalated agents, which further improves the basal planes′ catalytic activity toward HER. Here we used density functional theory to investigate the current-voltage characteristics and the distribution of catalytic active sites towards oxygen reduction of nitrogen-doped and defective graphene. The study highlights the importance of considering not only the interaction energy of reaction intermediates, but also the electrical conductivity of such configurations. The results were published in the journal of Carbon. 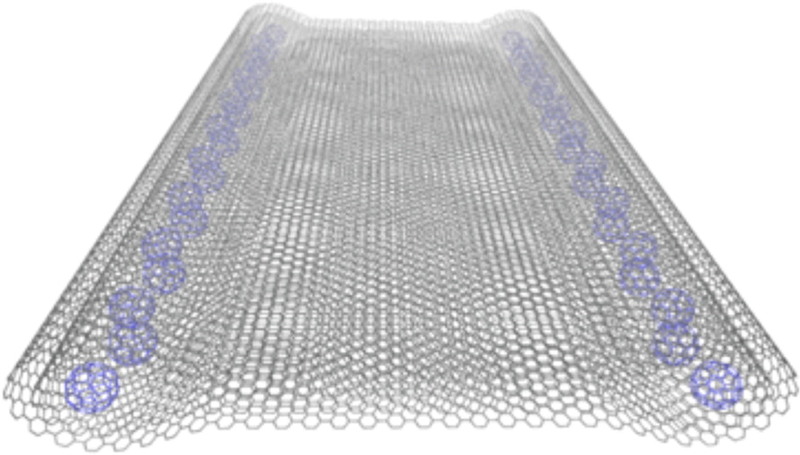 Introducing heteroatoms and creating structural defects on graphene is a common and rather successful strategy to transform its inert basal plane into an efficient metal-free electrocatalyst for oxygen reduction reaction (ORR). However, the intricate atomic configuration of defective graphenes difficult their optimization as ORR electrocatalysts, where not only a large density of active sites is desirable, but also excellent electrical conductivity is required. Therefore, we used density functional theory to investigate the current-voltage characteristics and the catalytic active sites towards ORR of nitrogen-doped and defective graphene by using 8 zig-zag graphene nanoribbons as model systems. Detailed ORR catalytic activity maps are created for ten different systems showing the distribution of catalytic hot spots generated by each defect. Subsequently, the use of both current-voltage characteristics and catalytic activity maps allow to exclude inefficient systems that exhibit either low electrical conductivity or have adsorption energies far from optimal. Our study highlights the importance of considering not only the interaction energy of reaction intermediates to design electrocatalysts, but also the electrical conductivity of such configurations. We believe that this work is important for future experimental studies by providing insights on the use of graphene as a catalyst towards the ORR reaction. 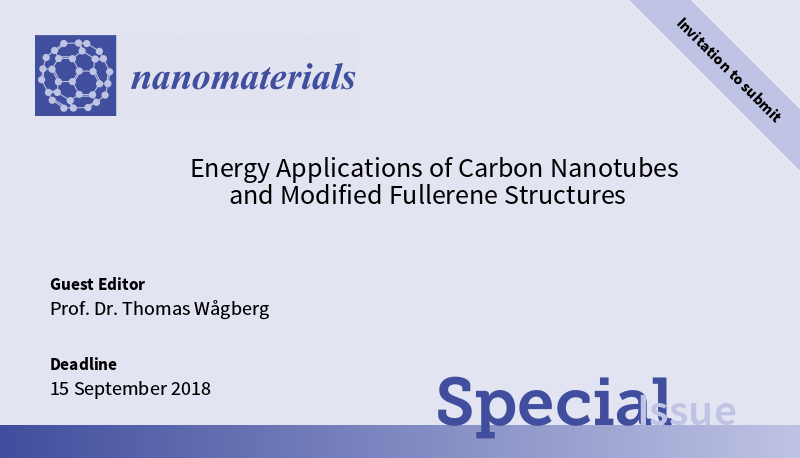 Invitation to submit manuscripts to Nanomaterials in the special issue "Energy Applications of Carbon Nanotubes and Modified Fullerene Structures"
Carbon nanostructures, such as single- and multiwalled carbon nanotubes, carbon fibers, and fullerenes have attracted a tremendous amount of attention over the last two decades. In recent years, much of this attention has been focused on various energy applications, in particular, in the field of renewable energy, such as water splitting and fuel cells, and also organic solar cells. 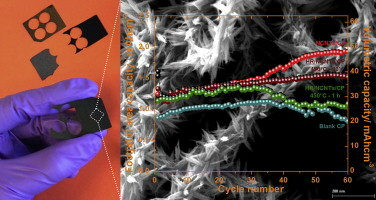 The applications of carbon nanostructures take advantage of the intrinsic catalytic properties of modified carbon nanostructures, their excellent applicability as anchoring support for various metallic nanoparticles or the use of functional groups on fullerenes to increase their solubility for solution processing. This Special Issue of Nanomaterials will attempt to cover the recent advancements in the research of carbon nanostructures for energy applications, such as water splitting, fuel cells, and solar cells with a focus on the modification of carbon nanostructures by various functional groups, defects and/or dopants.